At its heart, the science of homebrewing is about using yeast to turn sugar into alcohol. And if you’re going to do it right, you’ll need to know how much sugar you have, how much alcohol it’s going to create, and how efficient your yeast are at the task. A hydrometer helps you measure and calculate important data so your finished beer will hit the targets you’ve set. Using this basic brewing tool to get accurate readings is easy. All it takes is a little preparation, the right techniques, and an understanding of what a hydrometer is and how it works its specific magic. What the Heck is a Hydrometer, Anyway? Named for the Greek words for water (hydro) and measure (metron), a hydrometer is a simple piece of homebrewing equipment made for measuring specific gravity. The difference in density between pure water and another liquid, specific gravity is an important value when you’re brewing. 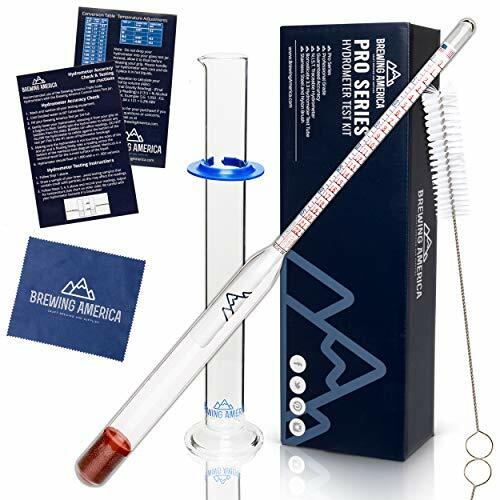 Your average brewing hydrometer If you click this link and make a purchase, we earn a commission at no additional cost to you. looks a bit like a thermometer. 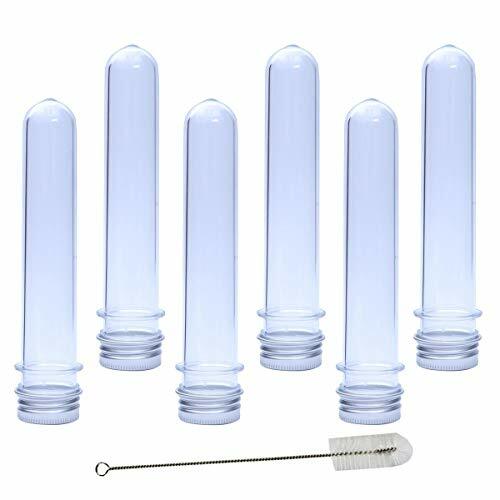 It’s made of clear glass, with a narrow stem and a weighted bulb at the base, and is designed to float. The stem contains a scale indicating the specific gravity of the liquid it’s floating in. If you get down to the nerdy nitty-gritty, hydrometers used for brewing are technically saccharometers. That’s because they measure comparative density based on sugar content, or saccharinity. Hydrometers are calibrated for a specific pressure level and temperature. That generally means sea-level pressure of around 30 in. mercury (Hg) (760 mm Hg) and room temperature, or 59°F–68°F (15°C–20°C). If it’s being used outside its calibrated range, a hydrometer’s accuracy will be affected. You might need to recalibrate or get another if you’re brewing up a batch of homebrew on top of Everest or in the middle of Death Valley, anywhere sea-level pressure is higher or lower than average. 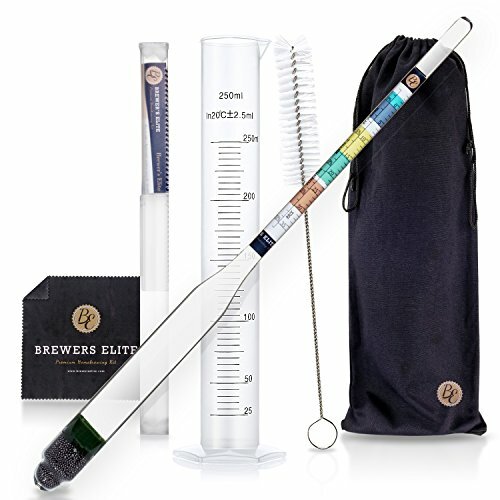 While the specific gravity scale is widely used, your hydrometer might also have markers for other systems. For example, it could have an indicator for the Plato scale, which measures the concentration of extract in wort as a percentage by weight, in degrees Plato (°P). It might also have an indicator for the very similar Balling and Brix scales, which are used to calculate potential alcohol by volume (ABV) for your finished beer. If your model only measures specific gravity, you can still calculate Plato, Brix, and ABV volumes by using an online calculator. Or, if you prefer to do the math yourself, you can use a few simple formulas. These formulas involve the specific gravity, or density difference compared to water, of your wort. The two readings you’ll worry about most often as a homebrewer are the original gravity (OG), or the specific gravity of your wort before fermentation, and the final gravity (FG), or the specific gravity of your wort after fermentation. Picture two glasses. One is full of fresh water. The other is full of wort from your latest batch of homebrew. Because the wort contains suspended sugars extracted from your grains during their time in the mash tun, it will have a different density than the water. This difference is the wort’s specific gravity. The OG and FG gravity readings are especially important when you’re homebrewing. When everything works properly, the FG will be lower than the OG, because alcohol is less dense than both the sugar it replaces and the water in the wort. For example, a dry stout If you click this link and make a purchase, we earn a commission at no additional cost to you. might have an OG of 1.038, and an FG of 1.007. That means the wort was 3.8% denser than water to start out, but only .7% denser after fermentation. Comparing these two values not only confirms that the yeast have done their job of converting sugars into alcohol, but how well they’ve done it. If your FG is still too high when you reach the end of your fermentation period, your ferment may have stalled. While you’re making a batch of homebrew, you’ll most likely take at least two samples from your wort. You’ll take the first sample, to find the OG of your wort, just before pitching your yeast. You’ll take the second, to find your wort’s FG, once your fermenting wort has stopped all visible signs of fermentation. To take a sample, use a sanitized wine thief If you click this link and make a purchase, we earn a commission at no additional cost to you. —the brewing tool, not a scheming vintner—to draw enough liquid for your hydrometer to float freely. 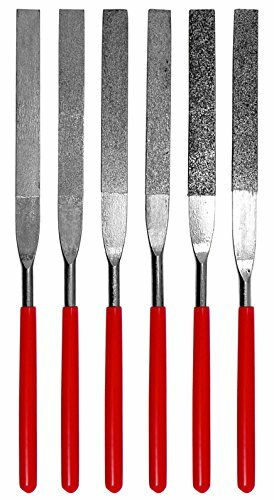 You can also use a siphon or a heat-resistant turkey baster If you click this link and make a purchase, we earn a commission at no additional cost to you. . Transfer the sample to a sanitized container big enough to let the hydrometer float around without touching the bottom or sides. A test tube If you click this link and make a purchase, we earn a commission at no additional cost to you. works great, although a clean, sanitized If you click this link and make a purchase, we earn a commission at no additional cost to you. glass works just as well. NOTE: Keep the samples you take to a minimum. 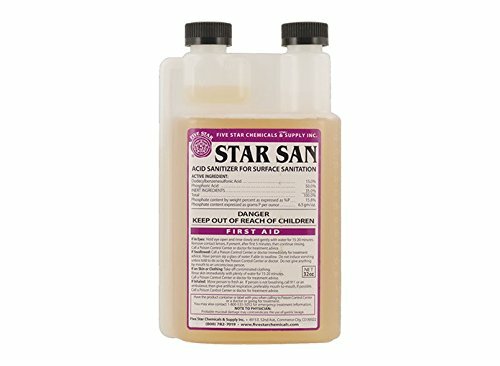 Accidental contamination is a very common homebrewing mistake, but you can dodge the funky flavor bullet with care and liberal use of a proper brewing sanitizer when you take your samples. Never return a sample to the fermenter. Instead, taste it, and give your palate a preview of the hoppy goodness to come. Place the unit into the sample and give it a whirl. Literally. A gentle spin will help the hydrometer center itself. If you’re using a narrow container, the device might cling to the side. If that’s the case, give it another spin and wait until it’s floating freely before you try to take a reading. While it might seem that reading the hydrometer If you click this link and make a purchase, we earn a commission at no additional cost to you. is as simple as eyeballing the point where it hits the surface of the wort, a little more care is necessary. Reading from that point might give you results that are higher than the actual specific gravity. That’s because a hydrometer is read at what is known as the meniscus, or the curvature in the surface of the wort surrounding the stem. They form in every container, but they’re especially prominent in tall, narrow vessels like test tubes. Take a careful look at the bottom point of the meniscus. That’s your true reading. It’s probably a few lines lower than the point where the liquid actually touches the hydrometer. Reading the meniscus at eye level ensures your reading is accurate. Chances are, detailed instructions for calibration were included with your particular model. But if you’re getting weird readings or working outside the recommended ranges for temperature and pressure, you can still get an accurate reading with a little tweaking and … gulp … math. If you suspect something’s out of whack, you can test the calibration with a glass of distilled water. Make sure the water is in the temperature range for your device, then drop in your hydrometer and give it a spin. Ideally, it will settle at a specific gravity of 1.000. If it’s too high, you can gently file off some excess glass If you click this link and make a purchase, we earn a commission at no additional cost to you. from the bottom of your hydrometer until it sits properly. If it’s too low, add a little clear nail polish to the top until it measures 1.000. Alternatively, you can take note of the difference in your reading and add or subtract when you do a reading. For example, if your hydrometer is measuring a specific gravity of 1.003 in distilled water, remember to subtract .003 from your wort readings to get the correct value. Sometimes, you might find yourself brewing in temperatures outside the scope of your hydrometer’s calibration. Save yourself some time and aggravation and consult an online tool to compensate. Sure beats laying out the dough for another hydrometer, right? Forget the eye of the tiger. You’ve got the eye of the brewer, and no meniscus can defeat you. 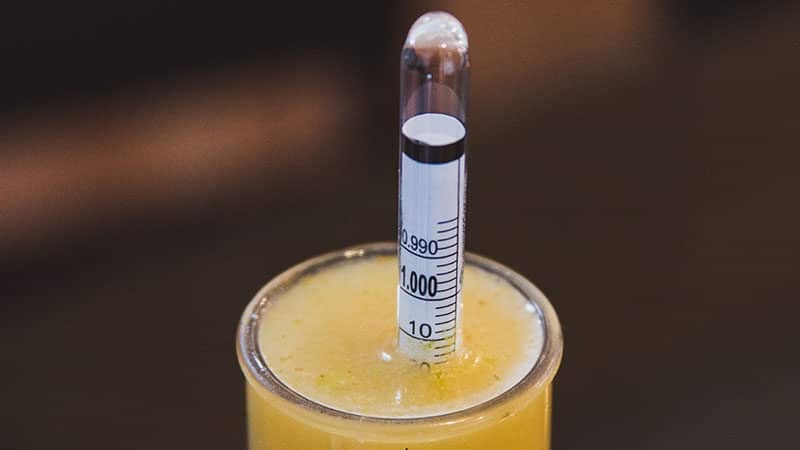 Armed with a well-calibrated hydrometer and the proper reading method, you’ll be able to test and tweak your homebrew with consistently delicious results that hit your targets for flavor, ABV, and finish.